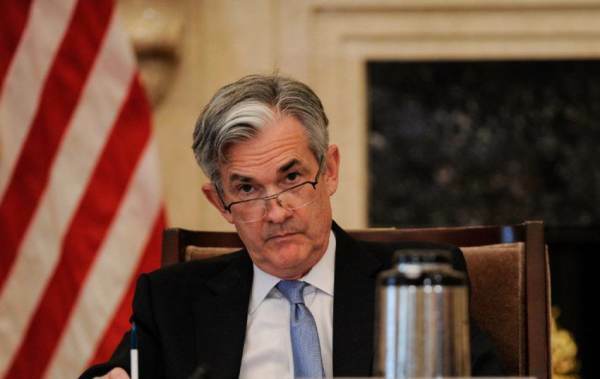 The Fed and its Head – Jerome Powell – have mandates to”promote stable prices” and “maximum employment” and to ensure a “healthy economy”. However, the Fed’s recent radical and consistent rate hikes are destroying the economy and doing nothing close to their mandates. 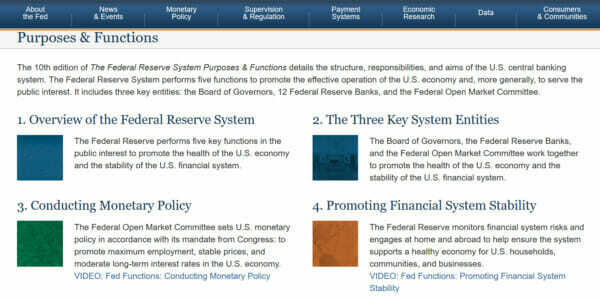 The Federal Reserve states on their website that two of its functions are to conduct monetary policy and promote financial system stability. But the Fed is currently not sticking to its mandates – Just look at the Fed’s rate increases this century and since President Trump won the 2016 election. 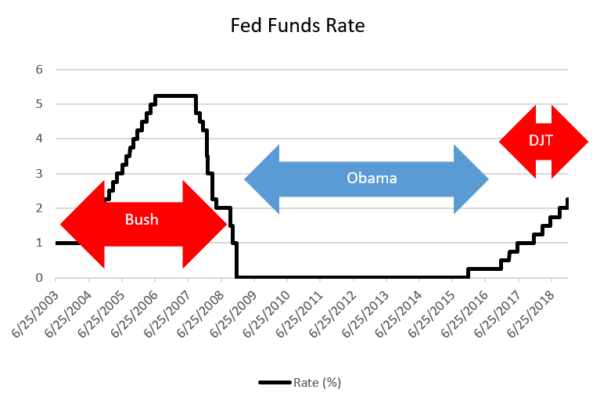 The Fed lowered interest rates to 0% for the Obama Administration and kept these rates at 0% for the first 7 years of Obama’s time in office. Finally, the Fed increased the interest rates 0.25% in late 2015 for the only increase during Obama’s Presidency up to the 2016 election. After President Trump won the November 2016 election, the Fed began a steady program of increasing interest rates. This program continues to this day and in total the Fed has increased rates 8 times since Trump won the Presidency. The rates now stand at 2.25% and as a result of these horrible and political policies, the Trump economy and Americans’ 401(k)’s are being devastated. The markets were up nearly 50% since the President won the 2016 election. Then in early October, the Fed Chief announced more interest rate hikes. Since then the markets have been devastated. The markets are down about 20% since that time and now are down for the year. Also, what’s not in the mainstream yet is how the Fed is adding billions to the annual US debt with their corrupt and crooked policy of raising rates on the Trump Administration. The US debt now stands at $21.8 trillion. A 2.25% interest increase on this amount of debt is an annual increase in debt interest payments of $500 billion!!! Fed Chief Powell and the Fed have added a half a trillion to the annual US debt payment through their reckless and crazy debt increases! To think President Trump has to shut down the government to get $5 billion for border security. The Fed could reduce rates 0.25% and easily pay for it. In no way is the Fed currently sticking to its mandates. It is political. It is doing all it can to destroy President Trump’s economy. The Fed should be shut down and all its leaders prosecuted. Their efforts since 2000 are criminal. Jerome Powell should be gone now! Working American families cannot and will not foot the bill for this maniac’s reckless interest rate policies. Americans’ life savings are dwindling and the amount of US debt is unnecessarily and dramatically increasing because of the Fed and its suicidal policies!! !